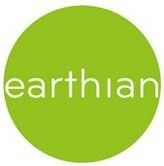 earthian: Save Water At Restaurants! In hotels, especially in India, waiters generally replace the half filled glasses with glasses full of water whenever they notice you have one sip of it. People are busy in chatting, official meetings, romantic eye meetings & few a times in eating while on table. So they obviously miss & sometimes deliberately ignore the move of waiter. This ignorance might come from 'not-my-business' attitude or out of social status concern. No one ever finds it wrong to waste remaining water of the removed glass. In fact, it has grown to be so normal, that someone opposing the waiter would be taken downright as 'acting like an uncle or old person' or 'an act of misery' as if doing good things is a responsibility of only old people & not of youth. Or as if such person is going to make money if that water has not been wasted. Ask these anxious waiters to wait till the glass gets completely empty. Ask if a bottle/jug of drinking water is available. It saves additional water to be used for washing used glasses. 1. Main benefit is saving most valuable thing for human life, the drinking/edible water, which is getting scarce across many cities/states/countries.